How significant is the scarcity of Muslim Nobel laureates as an indicator of underlying deficiencies in Muslim science? Not significant at all, in my view, despite my full awareness of (and continued work on) the weakness of science education, science literacy, and scientific research in the Arab-Muslim world. After all, Brazil, with its 200 million population, has not had any Nobel prizes in any category, whereas Egypt (with 80 million) has had 4, including 1 in science (though the work was done in the US). Similarly, China (with 1,350 million people) has only had 5 Nobel prizes in the sciences (all in physics), at least 2 or 3 of them having done their work in the US… And yet I haven’t heard anyone hint at “underlying deficiencies” in the Brazilian and Chinese cultures. What are the consequences to the Muslim countries of the absence of state-of-the-art scientific research? State-of-the-art scientific research is beginning to appear here and there in Muslim countries, particularly in the Gulf. It is too early to judge and make pronouncements regarding possible successes or failures of those initiatives. But again I insist that it is more important to ensure a wider and deeper rooting of a culture of science in the Muslim society, something some of us are working hard at achieving. Is there anything in Islam, in the form that it is being practiced today, that is inimical to science? The only idea that I find hindering the development of some types of scientific research is the utilitarian mindset, which, while it is not in any way part and parcel of Islam itself, is rather deeply held by Muslims for various reasons. (See the articles of mine that I had emailed you.) The Muslim society and culture needs to reassess its view of “science” beyond what can be beneficial directly and immediately. 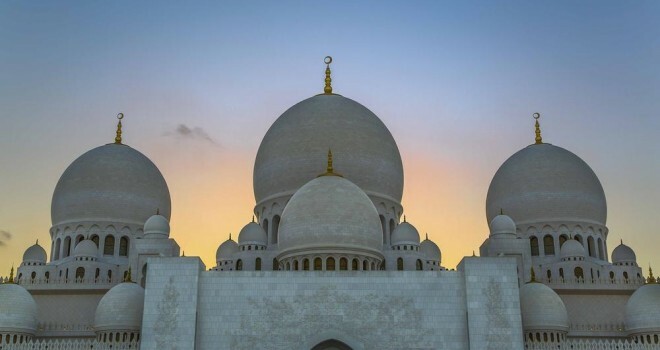 It is sometimes claimed that the Muslim world, like other parts of the non-western world, suffers from an absence of the kind of funding that US science enjoys. Does this claim have merit? Funding of science is certainly much weaker in the Arab-Muslim world than it is in the US or the OCDE; in fact it is known to be lower than the world average. On this too there has been some significant progress, at least in some Muslim countries (Algeria, Iran, Malaysia, Turkey), but more needs to be done. Also, some funding agencies (a la American NSF) have appeared recently in the UAE, Qatar, and elsewhere, where scientists submit proposals to compete for grants. A culture of proposals and funds is spreading in the Arab-Muslim world. Is religion the key obstacle to science, or are other factors in the Muslim world to blame, including the presence of dictatorial regimes? I don’t think religion is to be blamed for the weakness of science today in the Arab-Muslim world when one finds dozens if not hundreds of verses in the Koran encouraging the believers to pursue knowledge and discovery and when for centuries the Arab-Muslim civilization led the world in scientific activity. Was Islam different then? And I don’t think it’s the authoritarian regimes that are to blame, since we see the same dearth of scientific activity in Arab-Muslim countries of various government types. I believe the reason for that weakness is that our society and its leaders have not yet been fully convinced that science must be seen as the main driver of both human and material development. Interview by Peter HARMSEN, AFP telegram Democracy trumps cash as key to Nobel success, September 2013.